When traveling, in what bag or baggage does the laptop go? If you want to ensure that it will not be subjected to the mercy of baggage handlers and less-than-smooth rides or flights, then you should know what bag that would be. 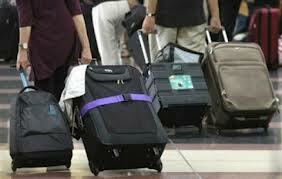 Fragile and expensive items must always be placed in carry-on bags instead of checked-in baggage. No matter how carefully packaged a laptop is inside a checked-in baggage, baggage handlers will have no way of knowing that there are fragile items inside thus the risk. Most people who have been in an airport at least once in their life can just imagine the rigors gone through by baggage. They can get crushed, thrown, and even misplaced while in transit and there can be no amount of control that can absolutely prevent this from happening. The best thing to so is be safe rather than sorry. Keeping laptops inside carry-on bags allow owners to take better care of them while on travel. The overhead baggage space is a good space to place them although the most ideal is a place that is within constant sight of the owner. Aside from physical damage, there are likewise serious concerns for loss due to theft or forgetfulness. A laptop needs to be taken cared of if it is to provide lengthy service to its owners. Accidental breakage can certainly cut the life of the laptop much shorter. People traveling with their laptops should be more cautious than ever in ensuring that their laptops are secure where they are placed.